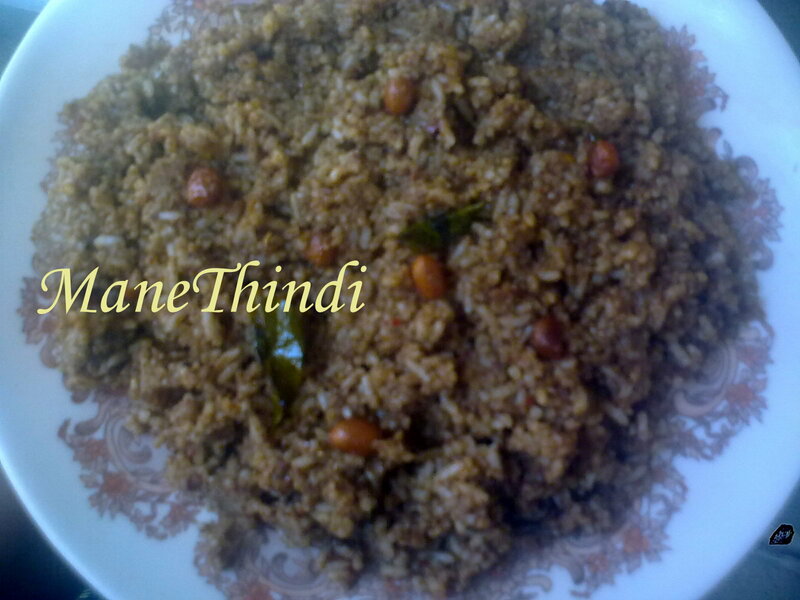 Puliyogare is a yummy food that we all love to eat and cherish its taste. It is a convenient food where we most often pick a "ready to eat mix" and mix it with rice!But have you realised how easy it is to prepare this delicious mouth watering puliyogare mix at home? !Read on and try making at home! Prepare tamarind juice and keep it aside.Make sure it is not too watery. Now fry urad dal,bengal gram,coriander seeds,pepper corn,fenugreek seeds.dry chillies on a low flame until you get a good aroma.Make sure you do not over burn them! Grind the roasted ingredients in to powder WITHOUT adding water.Keep it aside. Fry black sesame seeds separately and powder them WITHOUT water and keep it aside. Take a saucepan and add oil to it and let it heat for sometime. Add curry leaves,turmeric powder to the saucepan. 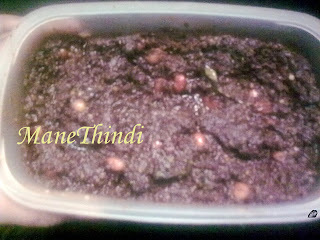 After few mins add the tamarind juice prepared in step 1 and mix well. To that add jaggery and required amount of salt and let it boil for 5 minutes. Now at this point transfer the ground ingredients from step 3 and step 4 to the sauce pan. Mix well and let it cook for some time on a low flame stirring every now and then till it releases a layer of oil on the sides. Now the Puliyogare Gojju is ready. Cook Rice in such a way that each grain is separate. Use Rice cooker if available. Spread the cooked Rice on a big plate. Heat Oil in a pan and add Mustard Seeds and Groundnuts. When the Mustard seeds sputter, add Curry Leaves, Asafoetida,Jeera powder and black sesame powder . Pour this seasoning on the Rice. 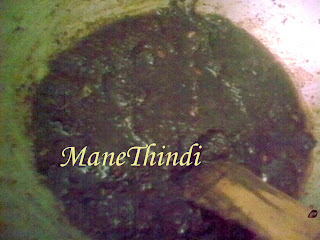 Add required quantity of gojju prepared earlier on the rice and mix well.Add salt if required since salt is already there in the pulitogare gojju.